The free ride is nearly over. Microsoft has been offering (or in some cases forcing) a free upgrade to Windows 10 since it first came out. That offer is nearly off the table. 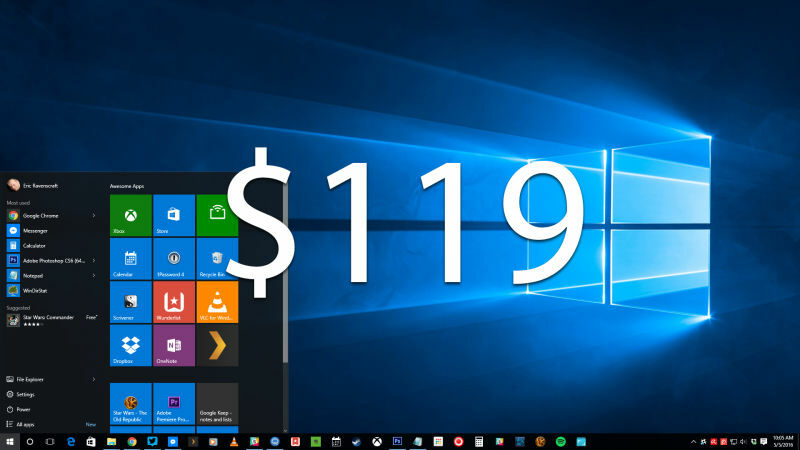 After July 29th, Windows 10 Home will cost $119. As Microsoft explains on the Windows blog, over 300 million devices have activated Windows 10, which is more than enough of a head start for the company to feel comfortable charging for Windows once again. If you get a new device, obviously the cost of Windows will be built in, but if you want to upgrade an existing device or buy a copy to install on a new machine, you’ll have to fork over some cash. Of course, this isn’t news. We’ve known from the beginning that Windows 10 would only be free for the first year. July 29th marks the one year anniversary of Windows 10’s release. So, if you haven’t taken the time to upgrade yet, but you want to, you should probably schedule a day to make the transition some time in the next couple months.